The deeper our faith, the more doubt we must endure; the deeper our hope, the more prone we are to despair; the deeper our love, the more pain its loss will bring: these are a few of the paradoxes we must hold as human beings. If we refuse to hold them in hopes of living without doubt, despair, and pain, we also find ourselves living without faith, hope and love. 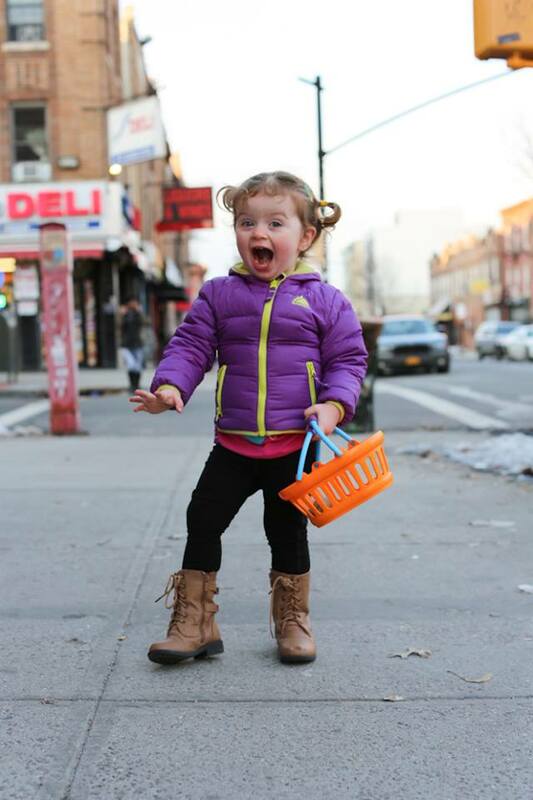 I’ve been vaguely aware of the Humans of New York project for a while now, I guess. My sister has posted some of the photos on her Facebook page in recent months, and I’ve liked what she’s posted (both literally and in the Facebook sense of the word). However, like many of you who are on Facebook, I already “like” too many pages and have “unliked” several of them in the past year because I simply don’t have time to read the posts. Also, the last few months have been kind of crazy/busy, with me trying to adjust to this latest phase of my life, so I hadn’t really looked any further into this photographer’s wonderful project, even though it intrigued me. Yesterday, my sister re-posted this photo, and I fell in love. The little girl’s joy made me smile from head to toe. She was the embodiment of joy, and yesterday I needed to be reminded of joy. I immediately re-posted the photo, and then I went to the Humans of New York Facebook page and “liked” it, so that I wouldn’t miss a single one of the posts going forward. Then I spent a chunk of time going back through earlier posts. The photos are not extraordinary by themselves, but the stories/quotes that go with them are. Funny, poignant, sad—combined with the photos, they create portraits of their subjects that remind us that we are, all of us, gloriously human, that we all have stories to tell, that we all contribute to the rich fabric of life. I loved this photo so much that I re-posted it today, just in case someone might have missed it. Then I decided to share it here. We all need to be reminded of joy now and then. I hope this photo does that for you. Sometimes we can’t get what we want. While this can be disappointing and painful, it is only devastating if we stop there. The world thrives on endless possibilities. It is what makes nature a reservoir of health. Yet if the heart is cramped or the mind locks on to its pain, we can narrow wonder to a thread. In contradiction to the endless number of eggs that spawn a fish and the endless number of cells that blossom to heal a wound, we can hold out the one thing we want as the only food. From here, crisis and desperation are a short step. It becomes a sorry occupation, beating oneself up for the one seed that didn’t take. It is an insidious way: the more we refuse mystery, the more we feel responsible for all that befalls us. Indeed, the more we distract ourselves with analyzing strategies that failed, the more we avoid the true feelings of loss that no one can escape en route to a full and vital life. pathwriter’s note: This is the reading for February 16 in The Book of Awakening, by Mark Nepo. I’ve been using these readings to start my day for several years now, and it’s interesting how I read them with different eyes each time. The message of this one seemed especially worth repeating. Your life begins the day you drop the knife you’ve been holding at your own throat.